Developer Camp is a new group activity initiated by ShareVision team for local developer community to have a monthly meeting for sharing knowledge and idea. This group is similar to BarCamp but targeted audience is developer and do it monthly. This activity was running since the last two month at InSTEDD iLab(iLab provided venue for the event). The event is schedule to do for every end of the month. 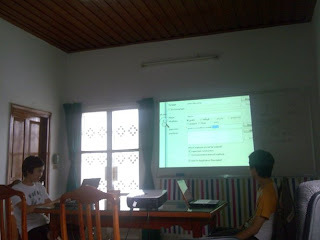 Last Dev Camp was done on 30th Jan.
Mann-developer from InSTEDD, shared about "J2ME"
Dane-developer from DDD, shared about "Building Mobile Application with Android"
At the end Jan-German student who is doing internship program in Cambodia, shared to the team about the Data Mining Award which is under sponsorship of a Germany Company. 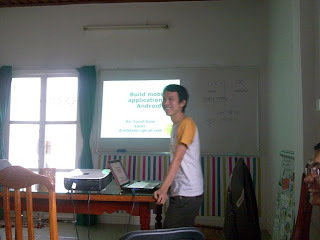 He is looking for Cambodian student to team with him to join the award competition.